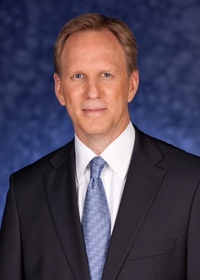 OAK BROOK, IL--(Marketwired - Aug 22, 2014) - McDonald's Corporation (NYSE: MCD) today announced Jeff Stratton, 58, McDonald's USA president, has made the decision to retire after 41 years with the brand. As a result, the Board of Directors has elected former McDonald's Executive Mike Andres as McDonald's USA president effective October 15, the date of Stratton's retirement. "When I tapped Jeff to assume the role of McDonald's USA president nearly two years ago, I asked him to lay the foundation for future growth in the U.S. market," said McDonald's President and CEO Don Thompson. "No one has worked more tirelessly to do that for this brand than Jeff. We are deeply grateful for his years of leadership and service, and wish him and his family all of the best." Andres, 56, will report to Thompson and also oversee the Canadian market. 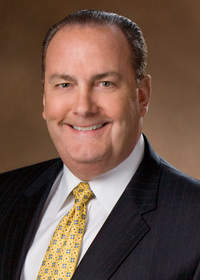 He joins McDonald's after his most recent role as CEO and chairman of Logan's Roadhouse, Inc.
Andres began his McDonald's career in the restaurant, as manager for his family-owned McDonald's in Northern California. He went on to build a 30-year track record of success at McDonald's in diverse leadership roles. He started in marketing and worked across operations and development before becoming regional vice president and senior vice president. From 2001 to 2007, Andres served a successful tenure as president and CEO of Boston Market while it was a McDonald's subsidiary. From 2010 to 2012, Andres served as president of the Central Division in the U.S., where he drove strong results in comparable sales, guest counts, and income. "Mike is the ideal leader to take McDonald's USA into the future. He is a progressive, strategic thinker with a deep understanding of consumers and the marketplace and a track record of translating those insights into successful results," said Thompson. "Mike brings a wealth of knowledge of McDonald's and has built strong relationships across the system, as well as broader experience in the Informal Eating Out industry. He's a dynamic, proven leader and I am confident he will help lead our U.S. business to the next level." "I'm thrilled to be back at McDonald's," said Andres. "It's an honor to return to the industry leader as part of a talented team. Together, we'll focus on our customers as we capitalize on the opportunities in the U.S. market." McDonald's is the world's leading global food service retailer with more than 35,000 locations serving approximately 70 million customers in more than 100 countries each day. More than 80% of McDonald's restaurants worldwide are owned and operated by independent local business men and women. To learn more about the company, please visit: www.aboutmcdonalds.com and follow us on Facebook (http://www.facebook.com/mcdonaldscorp) and Twitter (http://twitter.com/McDonaldsCorp).